girls, you have no idea how cool it is to be a boy. one of the best things is peeing standing up and being able to direction it like a hose. 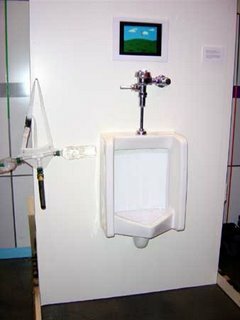 some genius has developed a way to play computer games at the urinal and control them with your pee. this guy is destined for a nobel prize.